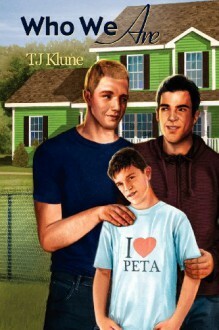 Sequel to Bear, Otter, and the Kid Bear, Otter, and the Kid survived last summer with their hearts and souls intact. They've moved into the Green Monstrosity, and Bear is finally able to admit his love for the man who saved him from himself. But that's not the end of their story. How could it be? The boys find that life doesn't stop just because they got their happily ever after. There's still the custody battle for the Kid. The return of Otter's parents. A first trip to a gay bar. The Kid goes to therapy, and Mrs. Paquinn decides that Bigfoot is real. Anna and Creed do... well, whatever it is Anna and Creed do. There are newfound jealousies, the return of old enemies, bad poetry, and misanthropic seagulls. And through it all, Bear struggles to understand his mother's abandonment of him and his brother, only to delve deeper into their shared past. What he finds there will alter their lives forever and help him realize what it'll take to become who they're supposed to be. Family is not always defined by blood. It's defined by those who make us whole-those who make us who we are.